Martin and his friends discovered that their world is computer generated and that by altering the code, they could alter reality. They traveled back in time to Medieval England to live as wizards. Almost everything they've done since then has, in one way or another, blown up in their faces. So of course they decide to make dragons. It does not go well. Fight and Flight is a rollicking tale of bravery, wonder, love, revenge, greed, discovery, deception, and animal husbandry. 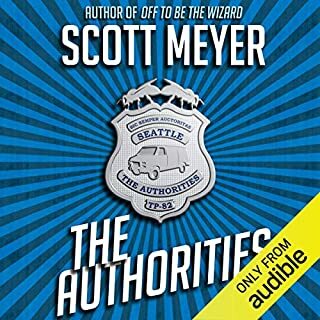 ©2017 Scott Meyer (P)2017 Audible, Inc. I love this series and have been looking forward to reading this book, but what a let down. No risk to anyone in the book, no real foreshadowing of danger, and no conflict other than some petty arguments. But what about the dragons? Oh, they can't actually do any damage. What about the incredibly dangerous solution to the dragons? Ya, we made everyone safe from being harmed by it and the risk never comes into play anyway. the book ends up wrapping things into a quasi morality lesson. The cliff hanger at the very end and the previous 3 books will bring me back after this miss. I listened a second time just to make sure I wasn't to critical. There is some foreshadowing of the cliffhanger at the end, but it's very minimal. if you really strain you can read into some of the subtext which seems like a plan for the next book to explore the dichotomy of reality being true no matter how much you disagree with it and wizards who seem to have the power to alter reality, dealing with unintended consequences, and the fact the wizards aren't always conscious of how their time traveling ability can be used. Meyer has a great short story with the first few chapters, a couple of pages in the middle, and the ending. The rest just feels like filler, and was repeatedly frustrating to see how the wizards were trying to solve their problems. This book feels as if Meyer has a great plan for book 5 and he wanted Fight and Flight to set it up, thought, "hey, dragons are cool" but didn't put enough focus in book 4. SKIP this book. It's 10hrs of wasted rambling. I wish I wouldn't have preordered it and read the reviews. The first three books were good and this was terrible. No real danger. No real story advancement. Did the author just want more $$? the last 2 minutes of the book had the only real intrigue and it was mediocre at best. Do your self a favor and wait for the next book. You won't be missing anything. Actually here I'll save you time(spoiler): the whole book is about killing dragons that can't hurt anyone or do anything interesting. The end. The best way to describe this book is, if you have ever played a video game and there is a side mission that does nothing for the over all story, does nothing for the characters and is long and unnecessary..... well that is what this book is... a side mission. This won't stop me from reading the next book when ever it comes out. but it is a real shame that Scott Meyer spent a whole book for just this little "side mission"
There was really no need for this book at all. It does nothing to advance the story, nor really the characters in the arc of the series. I love the series and find Luke Daniels narration and voice work to be wonderful. Its what keeps me coming back to these book.... But this story did nothing for the series. It was 8 hours of something that could have been pushed into a couple chapters in another book that had a full arc for the series. Should have been a short story. Let me start by saying this is one of the best series I have ever listened to! While this is a fun story, this would probably have been better as a short story or sub-plot. Its just not at the same level as the previous books and feels like more of a setup for the next book than a stand-alone story. The other reviewers seem to have missed the point of the book. It's a great book with a really fresh premise. Not gonna get spoilery. 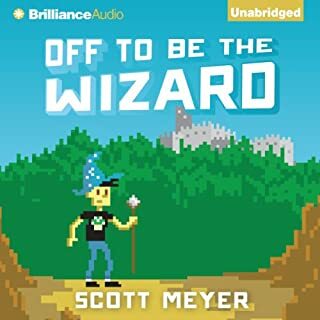 The other books dealt with someone finding a way to remove their invincibility, but this book deals more with the people around the wizards and how they effect them. Don't worry, it's still very thrilling contrary to the other reviews. I'll start by saying that I loved the first 3 books in the series. I was super excited about this one despite all the bad reviews, but unfortunately they were right. I tried to be optimistic but I really wish I never read this one. It left such a bad taste for me that I'm actually passing on the 5th book. The story was pointless and it wasn't much more than a few hours of rambling. I felt that this book made me dislike most of the characters (I've always found Gary to be irritating, but in this story basically everyone was.) I've always enjoyed Phillip and Martin, but they weren't able to save this story. Without spoiling anything I'd also say that this story really doesn't impact the overall picture in any identifiable way. I'd really recommend skipping this and giving the 5th book a try instead. This entire book feels like they've stretched out the conflict from one of the chapters of the other books to fill 8 hours. The dragons are lame and boring and way too much time is spent on town folk. Way too much of the book is characters I don't care about and not enough about characters I like from the original books like Jimmy "Merlin" and agents Murphy and Miller. If this were the first book I would never have read any of the others, and now I will be gone shy if a fifth book is released. To start off, this is far and away the worst book of the series. If this were a Japanese anime, this book would be the 'filler' season. Nothing of any consequence happens in this book until the epilogue and it's not even enjoyable getting to the epilogue. You end up hating nearly every wizard by the end of the book. I know this was partly on purpose, but the reason for it wasn't enough. I actually got to the point where I was skipping chapters because I couldn't stand what was going on. My advice to everyone is to find the hard copy of this book at a book store, pull it off the shelf, read the epilogue and you will be in the same position as you would be story-wise as everyone who read or listened to the whole thing. Sadly, the extreme low quality of this book is not actually the worst part. 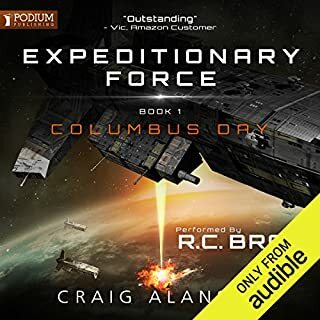 The narration in this audiobook might be some of the worst I have ever heard. This surprised me, because all the others were very well done. Luke Daniels completely phoned this one in. There was absolutely no effort put into the work and he didn't even stay consistent on voices from the previous books. The female characters, for example, sounded nothing like they did before and everyone else just sounded bored with their lives throughout. TL:DR Stay far away from this book and try the next one when it comes out. I feel like this should of been a short story. the content is stretched making the story a little 2d. hopefully the next book will expand on the magic universe. I would like to see the faults of the female character's flushed out a little more, I think scott makes them a little to all knowing and infalable. where are all the past characters from the last 3 books? The story line was built up loads and could go in loads of ways but it all just stopped. The time line made no sense? how long after the events of Todd did this book happen? For me it just seemed really out of place, like a short story that was rushed to fill a gap. Has Fight and Flight put you off other books in this genre? I am bu no means put off this genre or the Magic series, i was just disappointed by this story. Everything, he makes this book what it is. Was Fight and Flight worth the listening time? I have to say no. I was very annoyed this was 3 times the amount of the past books and they were FAR better. this story just seemed very out of place. I love the magic 2.0 series. the idea of the world being a simulation that only a few people have found out about is great. there are so many things that could have happened in this book to follow on from the past. 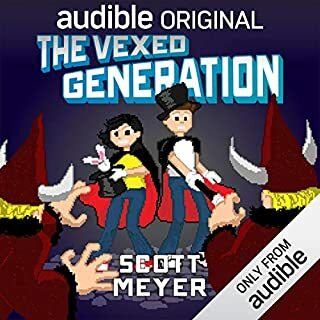 The book felt like it should have been 2/3 chapters and then the story with todd/jimmy was going to continue with other people from book 2 or something like that. Maybe this is what is going to happen but I did just feel odd. The best part was the last paragraph... Brit and Brit... need i say more? 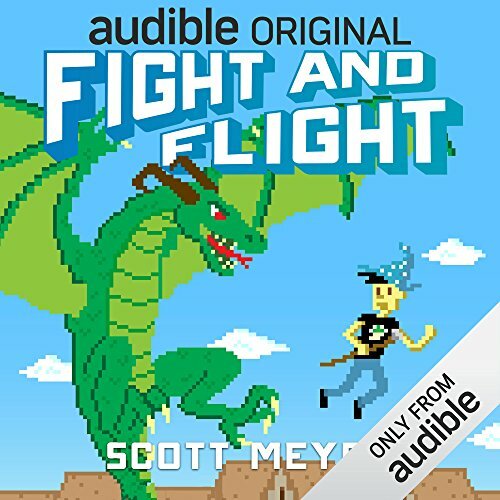 What did you like most about Fight and Flight? The guy who narrates it was spectacular as always. It all felt a little flat. The Wizards are a bit overpowered, and (avoiding spoilers) came to the decision that they needed to amp up the drama for various reasons. They always felt too in control, and too "great". I've listened to other books in the series, and he's fantastic. Brings out the humour well, and does some great voices. You'll never look at sheep the same way again. There's still some great humour (Phillip still has many of the best lines), and it's nice to catch up with the characters, but I suspect when the series ends, people will consider this a book that needn't have been there. It didn't really add anything new. Like Atlantis or the CGI challenge world thingy. I missed Jimmy too. The weakest in the series so far. Very much enjoyed the previous books, but this one far less so. There was no actual threat or peril throughout the story and some sections dragged on far too long. The performance was as good as ever though. Really not good. 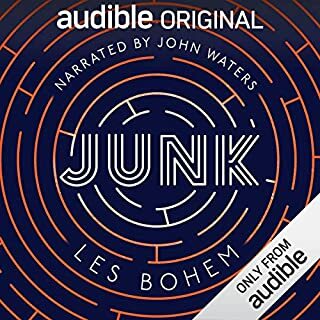 So very disappointed - I had this on preorder as I loved the rest of the series (particularly book 1) which I've listened to 3 times. Literally the only thing I've liked about this book is hearing the characters again - but with a very limited, one-dimensional, storyline, it's boring. I've realised now that for me I think Jimmy makes it - but he's not in book 4 at all. This one is just about the gang dealing with some dragons they've created. With a lot of dramatic shouting by Luke Daniels that also became very grating. I've invested 3.5 hours (a third of the book, so think I've given it a good shot) and intend to return it. I really liked the first three books in the series. This one however barely has a plot, and is mostly made up of drawn out and trite banter between the wizards. We are constantly and explicitly reminded that there are no stakes at all, so there is little or no tension. Narrator Luke Daniels is as always flawless. Really fun story and great voice acting, as always. Can't do a Welsh accent at all though. This was such a great continuation of this series. After the last one went to slightly darker places this was super light hearted and provided lots of fun. There aren't any big story arcs in this although there is an interesting little twist, no spoilers though. The main failing of the book is that it forgets we are in a story about computer geeks masquerading as wizards. The central storyline about rogue dragons could (should?) have been a chapter at most. All this before you get to the point where the two biggest antagonists on the tale are the most annoying children. Books 1-3 are plenty of fun. Skip this one. Mr Daniels is excellent as ever although his Welsh accent is worse than his English (Scottish also not stellar). Forgiveable, since his characterisation is always great, but accents from the British Isles aren't his strong suit. I absolutely loved the first three books in this series. The author is genuinely funny and it comes through so often in the books. The plots were deep enough to maintain interest but light enough to be fun. This book is not like the first three. The characters are solid but the plot is weak. This book lacks what the first three had: genuinely new ideas wrapped into an interesting plot. I love you Scott Meyer, but this is not your best work. It's a sad thing when the most interesting thing that happens is on the last few pages of the book. I feel like there's a real story there. I still give it three stars because of great characters, even if they went under-utilised. If you loved Magic 2.0 so far, prepare for disappointment. A waste of a words. Absolutely wonderful characters, with an excellent narrator in an interesting world full of quirks and mystery. But the primary story is literally rounding up some animals. It could have had this as act 1 of the book, and things get out of hand leading to another pointless task and that would have been fun. But it's been 9 hours of the same boring quest. Why can't people go to the start of the simulation? Who is the most from the future, and why aren't there more wizards after them? What happens if a wizard duplicates their own entry? Can a wizard leave earth? No, lets turn a plot point from book 3 into a whole pointless book. What a disappointing waste. I'm not going to bother finishing it. Wasn't the best in this series. for people intelligent enough to be able to find this program of life on the internet! The going on and on and on of the Scotsman was fairly ridiculous and seemed to go on for ages. Had to skip forward half of it. Feels like the book never got edited from the first draft. The last part of the book was a bit better though. Hence why I gave it 3 stars insted of 2. Brilliant series concept Ai have really enjoyed. This book was good but not the same calibra as the first couple. It's like a rush story on the heel of the other to keep the series on the shelves, I'd rather have a wait fir something more substantial. It's entertaining but a book entirely filled with fighting I intended dragons was only saved at the end by myself Philip realising the beef for humility. Why must this series be only 5 books!? 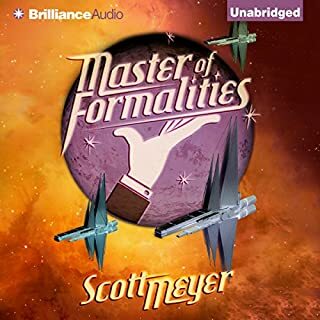 Another great read/listen from Scott Meyer. Not as grand a storyline but I liked the sentiment and, as always, it was amusing! Not his best work. Quite repetitive at times. It has its moments but overall i found the story lacking. The plot was weak and felt very forced. The characters however were still fantastic, and were the highlight of the book. One other thing is i didn't like that the characters all acted like the whole brit thing was new to them. Also weird that they seemed to never travel to the future or use the file in any new ways, in general it almost felt like the file wasn't a part of the story at all anymore. Such a weak and boring story line. I love Luke Daniels' narrating but this story is so bad. I loved the first 3 books but this was a big let down. Nothing happened, no risks, no big battle, no compelling story. Just what should have been a 1hr event dragged on for the entire length of the book with a lackluster ending. I hate being so harsh but this was the first time I considered not finishing a book and getting a refund instead.